Think about your lifestyle. Are you an active person? Do you have time to walk a high-energy dog two to three hours a day or do you need a medium- or low-energy dog that only needs 30 minutes to an hour a day? Are you the laid-back, passive type who lets the puppy-eyes melt your heart so much you forget about the rules of the home? If so, choosing a dog with a higher dominancy level would be a disaster. How much extra time do you have to devote to a puppy? Do you understand what instincts dogs have and how to fulfill them? Do you own any other dogs? If so, are your current dog(s) getting enough exercise and/or leadership? Bringing a new pup into a house that already has an unstable dog or ignoring any of the above issues is setting yourself up for failure. Find out which breeds of dogs have the qualities you're looking for and make sure you understand what makes the canine tick as an animal, what instincts they have and what you need to do in order to fulfill them. Choosing the right dog means identifying the type of animal who matches your lifestyle and wants. If you live alone in a small third-floor apartment, for instance, adopting a large, active retriever-mix might not be the best choice, unless your passion is jogging and you are looking for a good companion to do it with or if you have a family of four and are looking for a companion to match your active lifestyle; in the latter cases, such an animal may be perfect. A dog's size, exercise requirements, friendliness, assertiveness and compatibility with children should all figure into your decision. a. First: Call the breeder and get the name and number of her vet. Call the vet and get information on the breeder, her puppies and the parents of the puppies. A good breeder will have had the same vet for years, have a strong relationship with a local veterinarian, and his receptionists should be able to give a good referral on him. Plus, he has (or should have) hands on the parents annually for health testing and routine care, plus he should have hands on the puppies for checkups and vaccines. A breeder’s vet knows the most. 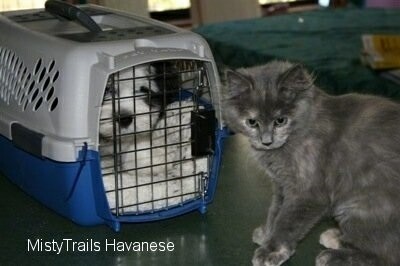 Also, contacting local breed clubs, or visiting dog shows will put information in your hand. b. 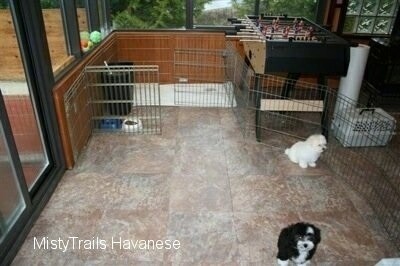 Then: Visit the breeder’s home, and SEE that the puppies are actually raised in the home. Visit and have your hands on the parents. Have the breeder do some temperament testing on the puppies to show you their individual dominancy and energy levels, as a good breeder will select the best temperament fit for your family. For example: If you are new to owning a dog or if you are a very laid-back, passive type, a good breeder will never place an alpha pup with you. An experienced breeder is able to assess temperaments, as she has previous litters to compare with and has gained experience on personality differences. A good breeder has dogs that appear clean, happy, healthy and are well mannered. The dogs will show in interest in meeting new people, and don’t shy away from visitors. 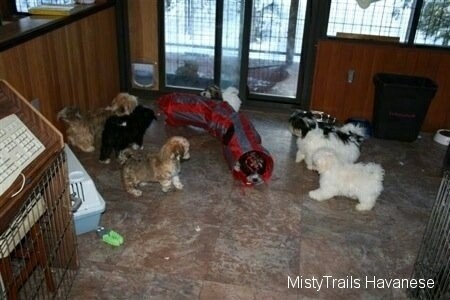 By visiting the puppies you will be able to see if they are actually potty trained. It is possible to paper/litter train puppies starting at four weeks old. As a new owner you will have a harder time potty training a puppy that has been raised on a rack (this is how the high-volume breeders do it), and will also have a harder time with a puppy that has been raised in a totally paper-lined pen, where the pup has been eating, sleeping, voiding and playing all in the same area. When a puppy has not learned the difference, housebreaking will be harder. When a pup can run in a room with paper in the corner, and has learned that there is a place to play and eat, a place to sleep, and a separate place to potty, your job as an owner will be much easier. For information on potty training puppies, see Misty Method. Ideally your breeder will have introduced the puppy to a crate at about six to seven weeks old and did some early crate training. Gazing into the sad eyes of the puppy in the pet store window, wanting to "rescue" the lonely pooch...(you know nothing of his parents or breeders). Reading an ad in the newspaper where the couple seems so trustworthy with their decades of experience breeding dogs. Finding a website with photos of beautiful puppies that insists the "little darlings" and "bundles of joy" will only be sold to "loving families" and are kitchen raised, or it states “all our dogs are health tested.” (Many breeders do health testing, and when the dog fails, they still breed to recover funds.) They may be telling the truth by saying the dogs are tested, but you will want to SEE copies of the CERTIFIED health testing (pass or fail). Beware! A mass dog-breeding facility could hide behind each of these scenarios. Most likely, you've heard about them. The Humane Society calls them puppy mills, and for good reason. Or you could have found a new small breeder that is breeding unhealthy dogs. (Often unknowingly, as they are also uneducated). People buy puppies from breeders (or neighbors) who breed their dog to make a elittle money or simply because they have an unaltered cute dog. Too often, the result is puppies in poor health. Unfortunately, these new-pet families often end up heartbroken, with a dog that has genetic health problems or end up with a pup that needs a lot of social work due to a lack of early socialization on the breeders’ part. A lot of owners will lack the knowledge it would take to rehabilitate the dog and in some cases, these problems can cost thousands of dollars to treat as you search for a professional who understands dog psychology. Puppy mills frequently house dogs in poor conditions, particularly for the "breeding stock" animals that are caged and continually bred for years, without human companionship, and then sold to another family after their fertility ends. Beware of breeders that continually sell retired breeding dogs. These adult dogs are bred repeatedly to produce litter after litter without becoming part of a family. The result is hundreds of thousands of puppies churned out each year for sale at pet stores, over the Internet and through newspaper ads. This practice will end only when people stop buying these puppy mill puppies, and when people learn how to treat a dog like a dog—remaining alpha in order to prevent unwanted behavior issues—so they can keep their dogs for life rather than recycling them. When the majority of people actually begin to keep their dogs for life the demand for a new puppy will go down. As a result, the puppy mills will begin to sell fewer puppies. A good breeder will understand how to match you with the right dominancy and energy level and will be able to explain how to properly treat the dog so your life with your new pet can be successful and forever. 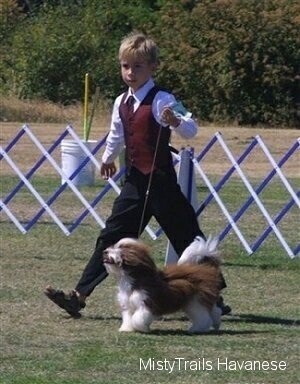 Just because a breeder is CKC or AKC registered does not mean they are a "good" breeder. To be a member of the CKC or AKC in good standing, all you have to do is apply and pay your dues. If you have unethical breeding practices, you are protected from disclosure. So homework has to go beyond checking whether a breeder is a CKC or AKC member. Many disreputable "breeders" sell their dogs directly to the public over the Internet and through newspaper ads. 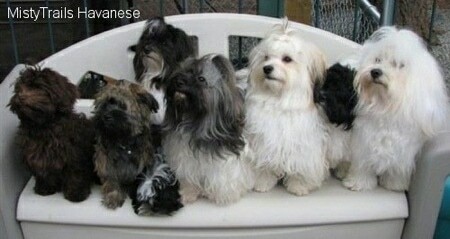 They often sell several breeds of dogs, but may advertise each breed in a separate place or website. A good way to check up on a breeder is to Google their name and phone number. Reputable breeders care where their pups go and interview hopeful adopters. They will ask you questions about your lifestyle and help you choose a puppy with an energy and dominancy level that is the same or lower than your own. They will work on making sure you realize a dog is not like raising a human child, but has instinctual needs of its own that you as an owner will need to fulfill in order to bring out the best in your new pet. They will care more about matching you up then they will about collecting your money. They don't ever sell through pet stores or to families they haven't checked out. They will also have a contract for you to sign, and a guarantee. You will need to spay or neuter your dog by a certain age, and if you can no longer care for your dog, a good breeder will want it returned. Look for these things in a contract. A reputable breeder will not sell pups under eight weeks of age. Each breed differs and each puppy in a litter is ready to go at different times; the ideal age is between nine and 11 weeks (or even later). 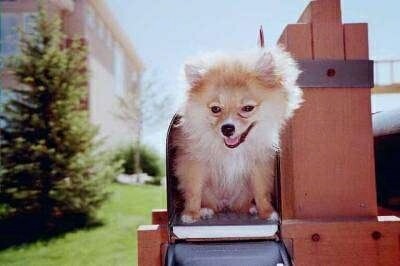 Purebred "papers" do not guarantee the quality of the breeder or the dog. Even the CKC readily admits that it "cannot guarantee the quality or health of dogs in its registry." 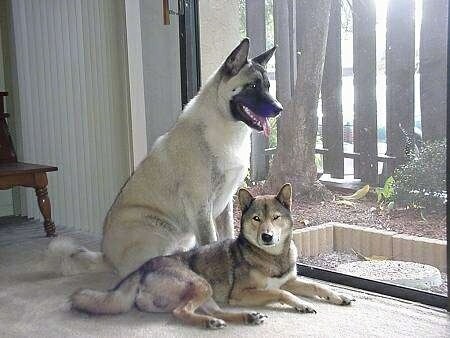 You must check the pedigree for inbreeding and check the health testing. 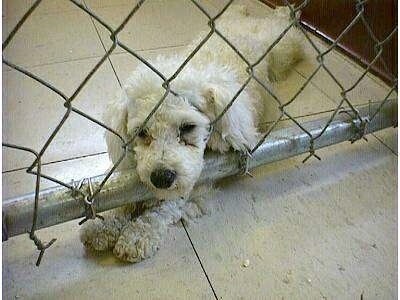 Puppy mill puppies often have medical problems. These problems can lead to veterinary bills in the thousands of dollars. Some breeders count on the bond between families and their new puppies being so strong that the puppies won't be returned. And guarantees are often so difficult to comply with that they are virtually useless. In addition, poor breeding and the lack of socialization practices at many puppy mills can lead to behavioral problems if the owners do not understand how to work with the dog and get it over the quirks its early years have caused. Please don't buy from a pet store, and be wary of newspaper ads. A good, reputable, vet-referred breeder will not have to run weekly newspaper ads in a variety of places. She should have a nice website and she will have built up a clientele, plus, she should have a wait list before she breeds. Puppy mills will continue to operate until people stop buying their dogs. We urge you to visit your local shelter, where you are likely to find dozens of healthy, well-socialized puppies and adult dogs just waiting for that special home... yours. Most of the dogs that are in shelters are there because the prior owners did not provide enough exercise and/or leadership causing behavior issues. Since dogs live in the moment and do not dwell in the past, with the proper human/dog communication and exercise one can successfully adopt a dog from a shelter, even if the prior owners had issues, and have a wonderful pet on their hands. When a breeder shows their dogs, it is a good indication that they are breeding at a higher level. They do more health testing, and showing proves the dog is structurally put together properly, It also shows the dogs have a good temperament. If you read that the puppy is from champion lines, this means nothing. To mean anything, you want the parents and grandparents to be champions, health tested, and known. A breeder that shows is NOT breeding to make money, but is usually breeding dogs she is proud of.